A previously healthy 9-year-old male presented with a several-week history of progressive shortness of breath. The initial chest radiograph showed a large, poorly defined mass occupying the left hemithorax (Figure 1). There was no splaying or erosion of the ribs. 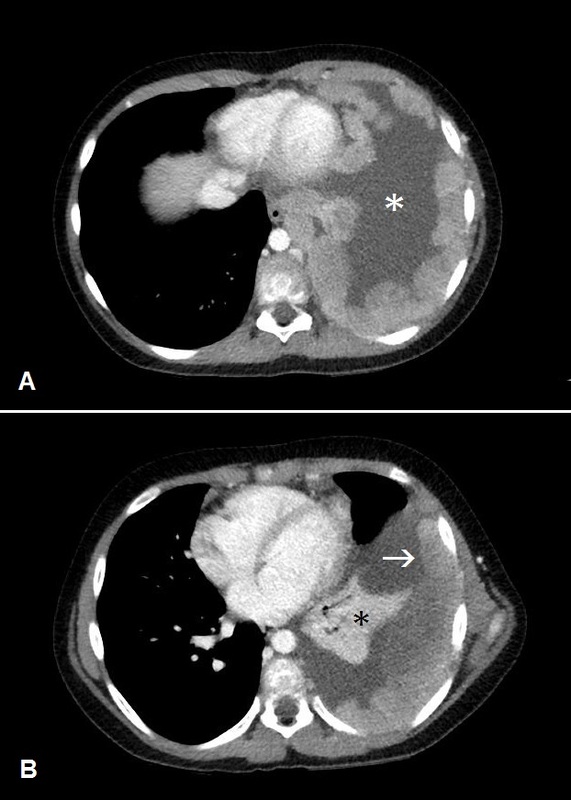 Subsequent chest CT with IV contrast showed pleural-based conglomerate lobular masses of the left hemithorax (Figure 2). 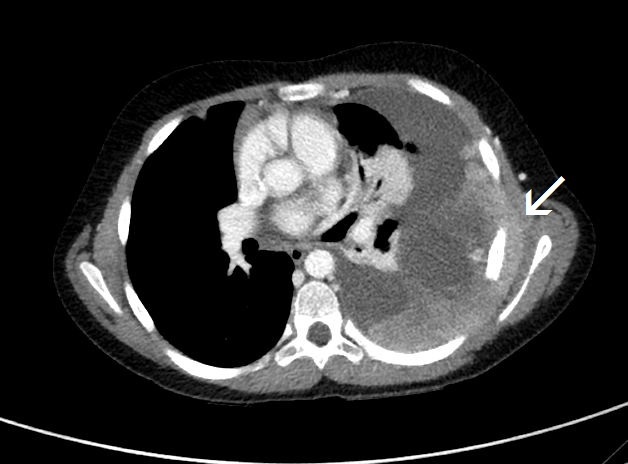 The pleural involvement was accompanied by extrapleural extension with encasement of the left seventh rib (Figure 3). 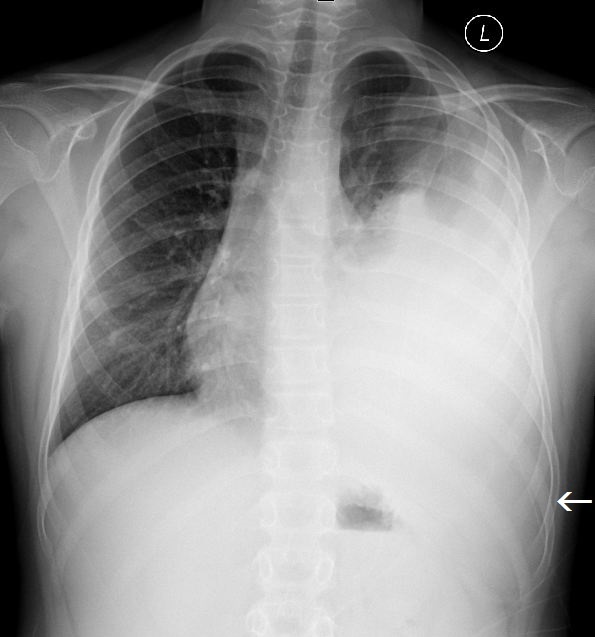 Large, left pleural effusion was present along with left lung atelectasis. 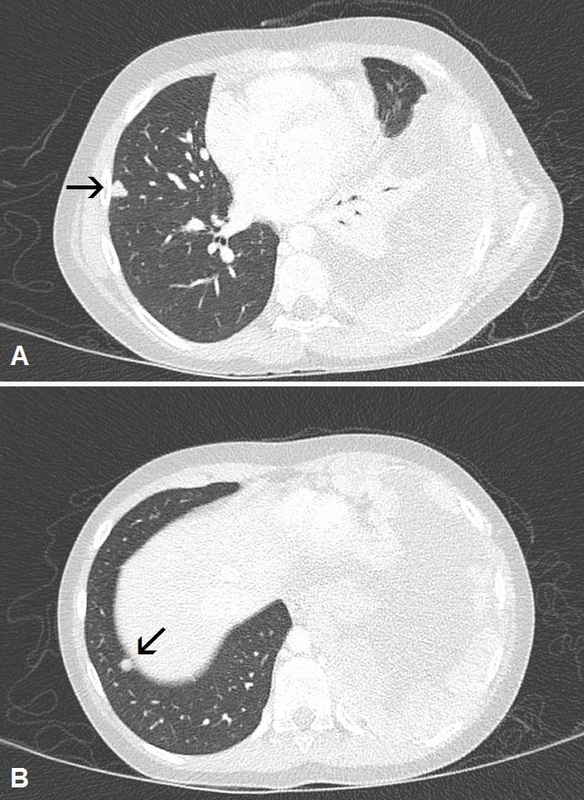 The CT images in the lung window showed contralateral right lung metastatic lesions (Figure 4). Askin tumor (Ewing sarcoma family of tumors). Differential diagnosis includes other sarcomas such as chondrosarcoma, pleuropulmonary blastoma, lymphoma, and infection. Askin tumors are a part of the Ewing sarcoma family of tumors. While histologically the tumors are similar to a Ewing sarcoma, their typical location and growth pattern make the tumor a distinct radiographic entity. Tateishi U, Gladish G, Kusumoto M et al. Chest wall tumors: Radiologic findings and pathologic correlation: Part 2. Malignant tumors. Radiographics. 2003; 23:1491-1508. Burchill S Ewing’s sarcoma: Diagnostic, prognostic, and therapeutic implications of molecular abnormalities. J Clin Pathol. 2003; 56:96-102. Gladish G, Sabloff B, Munden R et al. Primary thoracic sarcomas. Radiographics. 2002: 22:621-637. Gurney J, Winer-Muram H, Stern E. (2006) Diagnostic imaging: Chest, 1st edn. Amirsys Publishing, Salt Lake City, Utah. Schulman H, Newman-Heinman N, Kurtzbart E et al. Thoracoabdominal peripheral primitive neuroectodermal tumors in childhood: Radiological features. Eur Radiol. 2000;10:1649-1652. Sallustio G, Pirronti T, Lasorella A et al. Diagnostic imaging of primitive neuroectodermal tumour of the chest wall (Askin tumour). Pediatr Radiol. 1998; 28:697-702. Keehn B, Jorgensen SA, Towbin AJ, Towbin R. Askin tumor. Appl Radiol. 2017;46(6):32-33.